This post is part eleven of a series about how to maximize value when transferring your Chase Ultimate Rewards to loyalty program partners. Southwest Airlines is the world’s biggest low-cost carrier. It is based in the United States with an extensive domestic network, so you can imagine how useful their reward points could be for domestic redemptions. Being a low-cost carrier however there are no premium cabins, so if that is a requirement for you than look elsewhere. Redeeming Southwest Rapid Rewards is a whole different (and most probably consider much easier) ballgame than redeeming region-based or distance-based miles. Rapid Reward prices are based on the cash price of the ticket. Most Southwest flights have less Wanna Get Away fares (the cheapest fares) left within one to three weeks of departure, and the other types of fares require more points per dollar. So really the main key to scoring cheap Rapid Rewards is booking when flights are cheap, either during a fare sale or ahead of time. It costs only 3,734 Rapid Rewards. For comparison: that would cost 7,500 Avios, 7,500 Delta miles, and 12,500 American or United miles. There are going to be many instances in which Rapid Rewards options will be cheaper than using any other type of mile for domestic redemptions, so if you have Ultimate Rewards you should always double check what the Rapid Reward price is to compare to your other options. Another huge plus is that can save you tons in the long run is that they do not charge checked baggage fees for up to two bags (50 lbs each). If you don’t have status or a co-branded credit card with any of the big American carriers, you’ll get slapped with baggage fees starting with the very first checked bag. If you have the Southwest Companion pass, you can designate a companion who flies for just the taxes on every Southwest flight you fly. That’s $5.60 each way within the United States and a bit more on Southwest’s international routes. That’s every Southwest flight–including paid tickets and awards–for almost all of 2017 and 2018. There are three ways to earn the Southwest Companion Pass at the moment: fly 100 paid segments, open two credit cards and use one of several methods to get the last 6,000 points, or by buying a Marriott Package. Flying 100 paid Southwest is a much harder and more expensive way of earning the Companion pass than signing up for Southwest credit cards or buying a Marriott Package, so I’ll just focus on explaining the latter two methods. There are three Southwest credit cards: Premier Personal, Premier Business, Plus Personal. The $99-annual-fee Premier cards come with 6,000 anniversary Rapid Rewards. The annual fee is not waived the first year. The Plus card has a $69 annual fee. It comes with 3,000 anniversary Rapid Rewards. If you can’t get a business card (read this to see if you qualify), you need to get the Premier Personal and the Plus Personal. 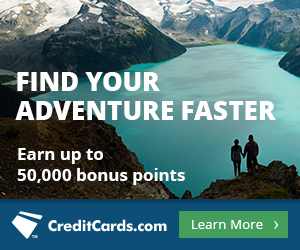 If those links above stop showing 50k bonuses, current cardholders can send you a referral for the Plus card with 50,000 Rapid Rewards after spending $2,000 in the first three months. Can You Get Two Southwest Cards at Once? You can and should get two Southwest cards the same day if you want to get the Southwest Companion Pass. I’ve seen tons of reports of people getting one personal and one business Southwest card on the same day. I have also seen people report getting both the Plus and Premier personal cards on the same day. Can You Get the Premier and the Plus? All three Southwest cards are separate products. Having one or having had one does not disqualify you from getting a different one. Can You Get a Card Again? These cards are issued by Chase. You can get a Chase bonus again if it has been at least 24 months SINCE YOU GOT THE BONUS on the card previously, and the old card is closed. Unfortunately all three are subject to the Chase 5/24 rule. Learn more about the Southwest Companion Pass, including tips on how to earn the remaining 6k Rapid Rewards needed to top off your balance after earning the bonuses on the Southwest cards, by reading our Master Thread. 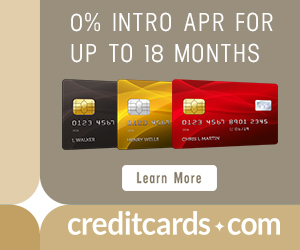 At the moment, qualifying points can be earned from credit card sign up bonuses, credit card spending, Rapid Rewards shopping portal points, or hotel points transfers among other ways. * Qualifying points CAN NOT be earned by transferring points directly from Ultimate Rewards. News hit the miles blogosphere in the beginning of the year that point transfers in from hotel and car rental programs wouldn’t count towards a companion pass anymore. Shortly thereafter, Southwest released a statement via The Points Guy that they decided to retract the closing of the loophole through March 31, 2017 (that leaves just a couple more weeks). You can transfer 90k SPG points to Marriott (90k SPG points = 270k Marriott points) to buy a Marriott travel package that includes a hotel certificate for seven nights at a category 1-5 hotel and 120k Rapid Rewards for the purpose of earning a companion pass for 2017 and 2018. So if you have 90k SPG points and want a companion pass, transferring to Marriott for the travel package is still a viable option, at least until March 31. As are other hotel point to Rapid Reward transfers. But if you don’t have 90k SPG points, the easiest way to earn a Southwest Companion Pass is to earn 110,000 qualifying points in one calendar year via the Southwest credit cards. Earning 110,000 qualifying points as early in the calendar year as possible so you get the Companion Pass for the most amount of time possible is the best way to maximize the Companion Pass. Another easy way to maximize the value is to use all seven of your companions. The Member may, however, change his/her designated Companion and request issuance of a new Companion Pass card up to three (3) times each calendar year that the Member maintains Companion Pass status. Any reservation with the current Companion Pass would need to be cancelled before changing his/her designated Companion. Requests may be made by calling 1-800-435-9792. Allow 21 business days for processing and issuance of the Companion Pass card. You can switch back and forth between companions, designating a new companion four total times–the original companion and three changes–in the first year and three new companions in the second year for seven total. You can only have one companion at a time, but there is still some value in efficiently using your changes. It’s true that if you book a Southwest award for 10k points + $5.60, and you later cancel it, you will get your 10k points back and the $5.60 will be returned to your credit card. Since Southwest awards are fully refundable, you can speculatively book with impunity. By the same coin, changes to Southwest awards are also free. Southwest Rapid Rewards are valuable for flying domestically as well as to their few nearby international destinations in the Caribbean, Central America, and Mexico. Watching for Southwest award sales or booking your flights ahead of time are the best methods for maximizing your Rapid Rewards as award prices are based on the cash price of the ticket. The Southwest Companion Pass is one of the best deals, if not the best deal, in travel if you travel often within the United States. If you earn 110,000 Rapid Rewards in a calendar year, you’ll get the companion pass for use the rest of the year in which you earned it as well as the following year. Earn your Companion Pass as early in the calendar year as possible and utilize your ability to switch companions up to seven times to fully maximize its value. SW use to B really cheap and 5 to 10 flts a day to where I wanted but not now .If United or AA flys there usually same price and @ ORD I can park @ LOEWS Hotel for $5 per nite covered parking and nice shuttle (5 mins) to T5 . We did a trip to Cancun with SW points.. they go to a few Mexico/island destinations. Also, I’m not sure about other programs, but Ultimate Rewards -> SW points occurs instantly for me. The ability to cancel a points reservation (all points refunded) and get points refunded if the fare drops in price is wonderful. If you are not sure of your travel plans, Southwest let’s you create a contingency plan and free escape hatch. Luv it cuz it saves me change fees and even loss of points/$s. This feature is just an unbeatable perk. I’ve used it to reprice a fare when the price drops. Very easy, no hassles. I got the SW Companion Pass through a Marriott travel package. I am loving this thing. Tickets to Cancun, Costa Rica, Tahoe, Houston, Columbus, OH and Niagara Falls are all either booked or in the works. Forget Europe till this expires 12/31/18. I am going to get lots of places off my bucket list and see family too! I had the companion pass. It didn’t get maximized at all cause I’m very heavy on international trips. If I schedule to have “connecting” flights with SWA, will each leg of that trip be counted towards my 100 flights, or is each booked flight considered as 1 flight? Example: Would MDW->PHX->LAS be considered 1 flight or 2 flights by SouthWest’s standards?